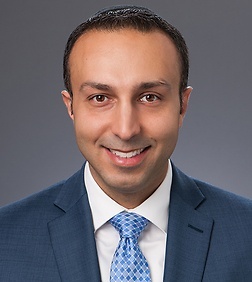 Daniel Eliav is an associate in the Corporate Practice Group in the firm's Century City office and is a member of the firm’s healthcare practice team. Daniel represents hospitals, managed care organizations, medical groups, behavioral health providers, and other healthcare entities in regulatory and transactional matters. With a Master of Public Health degree and experience working in institutions such as large academic medical centers, state government, hospitals, non-profit clinics, and laboratories, Daniel is uniquely positioned to service clients in the healthcare industry. Daniel regularly helps clients navigate through the myriad of healthcare laws and regulations to achieve their goals. He has broad experience in the areas of telemedicine, corporate practice of medicine restrictions, licensing, and reimbursement. In addition, Daniel provides counsel on state and federal fraud and abuse issues, including the Stark Law, the anti-kickback statute, and civil monetary penalties laws. He has helped multiple clients overcome obstacles with regulatory agencies, allowing clients more flexibility to develop and operate their business. For instance, Daniel recently convinced one state agency to permit a client to operate without having to obtain an additional license, opening an entirely new business line where no other providers were providing the same service. Furthermore, Daniel has extensive experience representing clients with multi-state practices and tailoring business arrangements to comply with the corporate practice of medicine and fraud abuse laws of each state. Daniel’s practice focuses on emerging trends. In a previous role, he served as an attorney for the state of California, helping to establish that state’s Health Benefit Exchange under the Affordable Care Act. In private practice, Daniel worked with multiple Accountable Care Organizations to help register and ensure compliance with the Medicare Shared Savings Program (MSSP), Next Generation ACO Model, and Episode Based Payment Initiatives such as the Bundled Payments for Care Improvements (BPCI) Initiative and the Comprehensive Care for Joint Replacement (CJR) Model. In addition, Daniel has assisted with establishing commercial accountable care organizations and clinically integrated networks (CINs) that work directly with health plans and self-insured employers. Daniel has also worked extensively with behavioral health providers such as Residential Treatment Facilities (RTFs), outpatient mental health clinics, and Applied Behavioral Analysis (ABA) providers. Most recently, Daniel assisted clients develop a national practice which relies on telehealth solutions to provide care via the web and mobile apps. As early adopters of emerging trends, Daniel has worked closely with employer sponsored insurance plans to implement cutting edge solutions, including wellness programs, on-site employee clinics, digital health solutions, and robust pharmacy-benefit plans. Daniel has also helped third-party administrators enter into and develop new markets. In addition, Daniel has provided counsel on compliance with the Health Information Portability and Accountability Act (HIPAA), reimbursement issues under Medicare and Medicaid, the Emergency Medical Transfer and Labor Act (EMTALA), the Clinical Lab Improvement Amendments (CLIA), physician advertising, and consent issues.